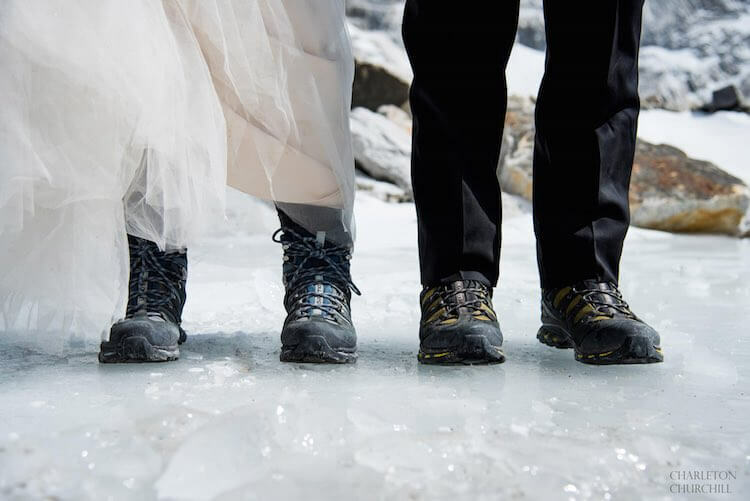 Talking about marriage goals, how do yours look like? 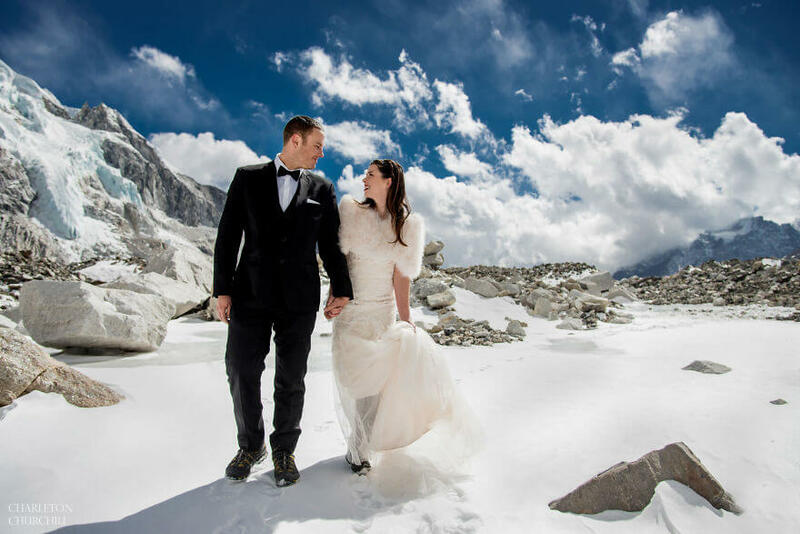 Getting up on top of the world and saying your vows with the cold wind in your hair? 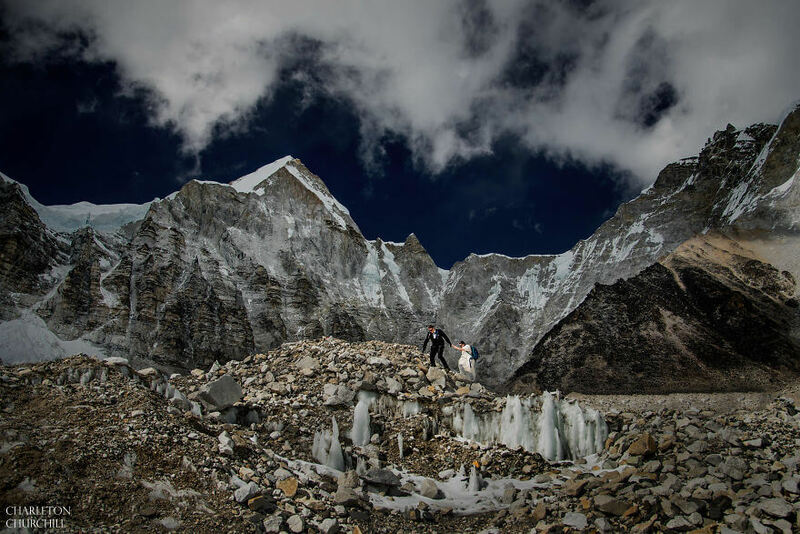 Some might say that a marriage is like climbing Mount Everest: tough times, good times and everything in between. 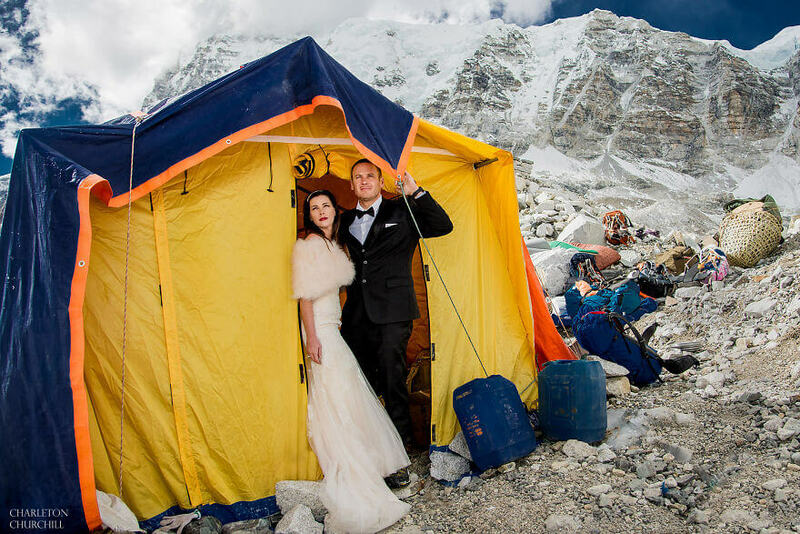 Well, how about you get married on Mount Everest, on the roof of the world? 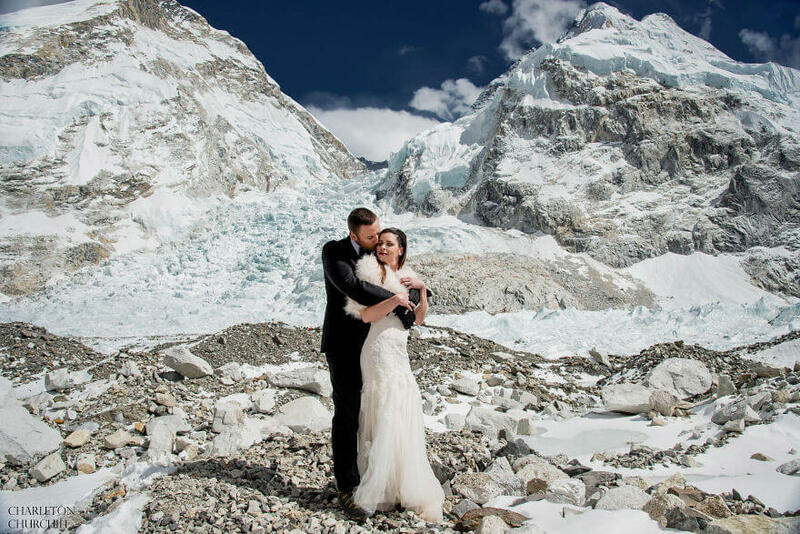 James Sisson and Ashley Schmieder are the first ones evert that are getting married on Mount Everest. 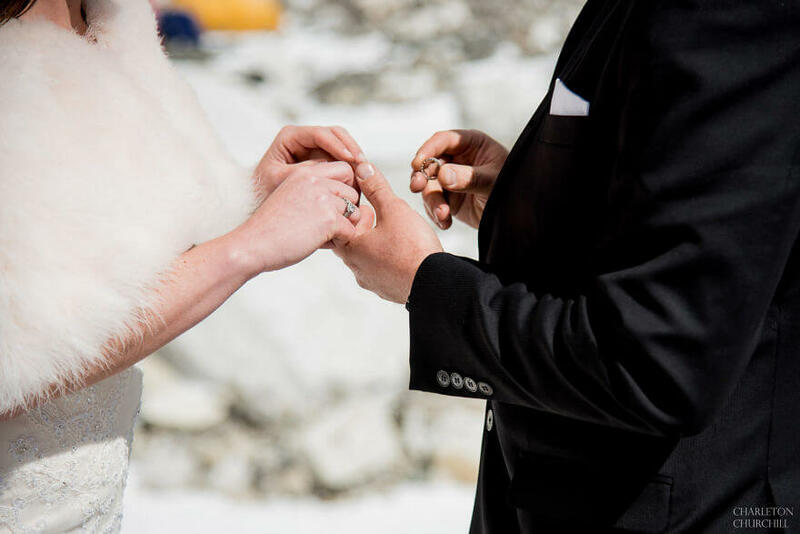 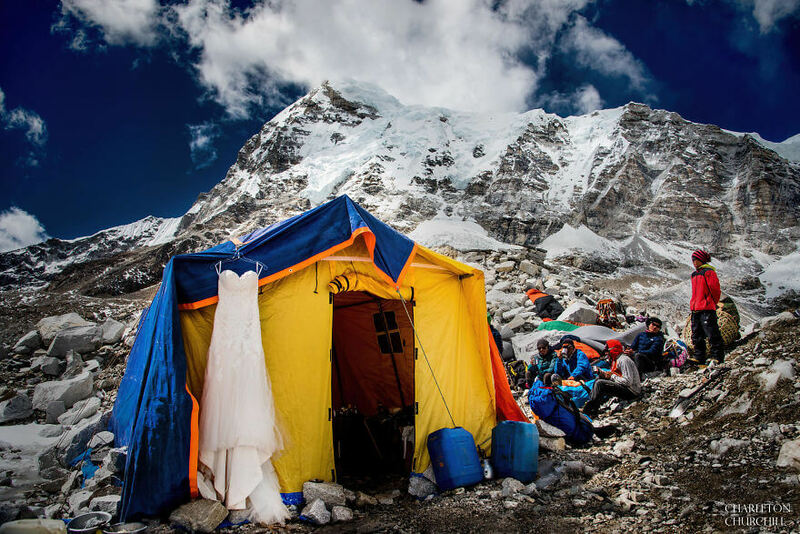 Actually, not really on the high peak, since you can’t really say your vows properly with an oxygen mask and so on, but still, they got married at the base camp of the tallest mountain in the world. 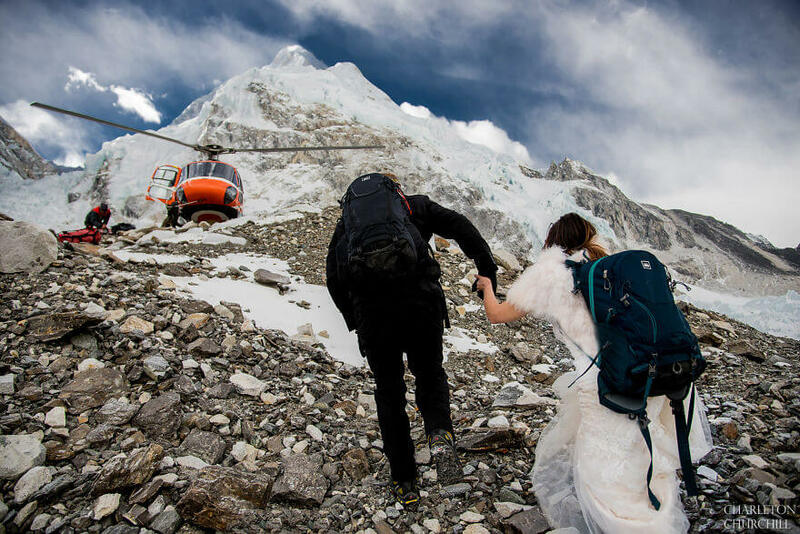 They have always wanted to do something special for their wedding, but the idea came when their adventure wedding photographer suggested they should climb Mount Everest in their wedding dress and tuxedo and get married right there. 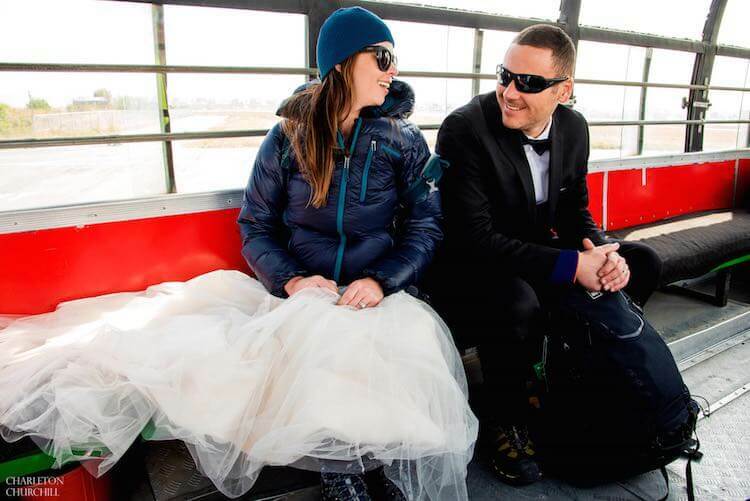 It took the couple a year to get ready for the beginning of their journey together. 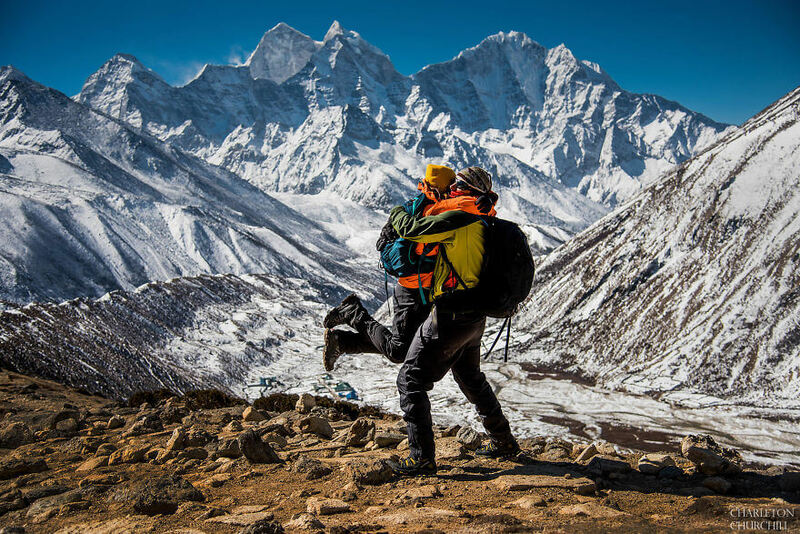 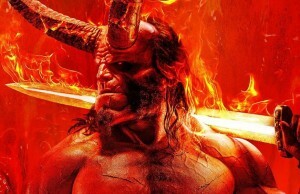 They hired a crew that escorted them up in the mountains and hit the gym like crazy to get in shape for the adventure. 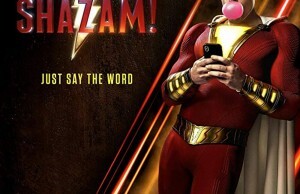 In March, they did it. 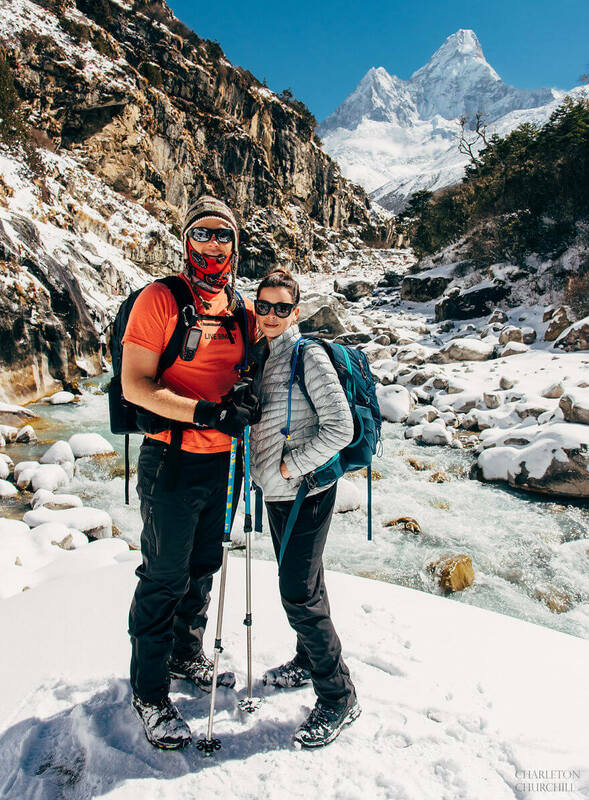 They flew from Seattle to Dubai, then to Kathmandu in Nepal. 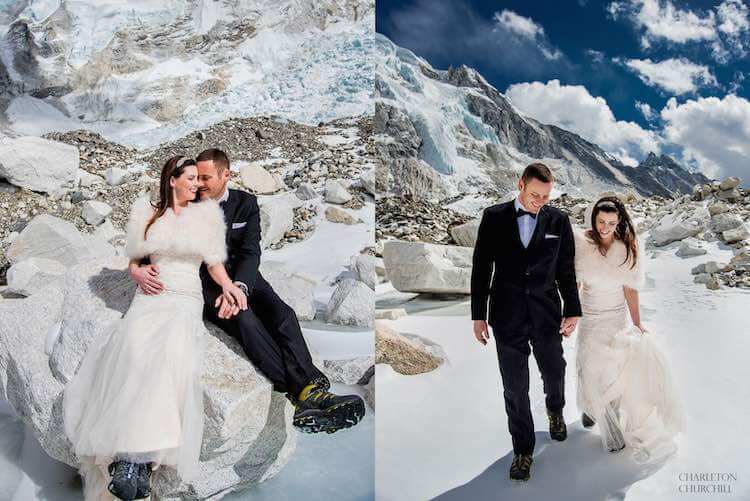 With their wedding costumes on, some gear strapped to their backs, they began their ascent up to the mountain. 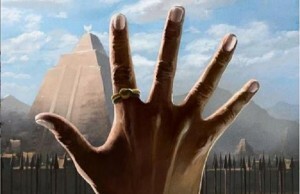 “We were like family. 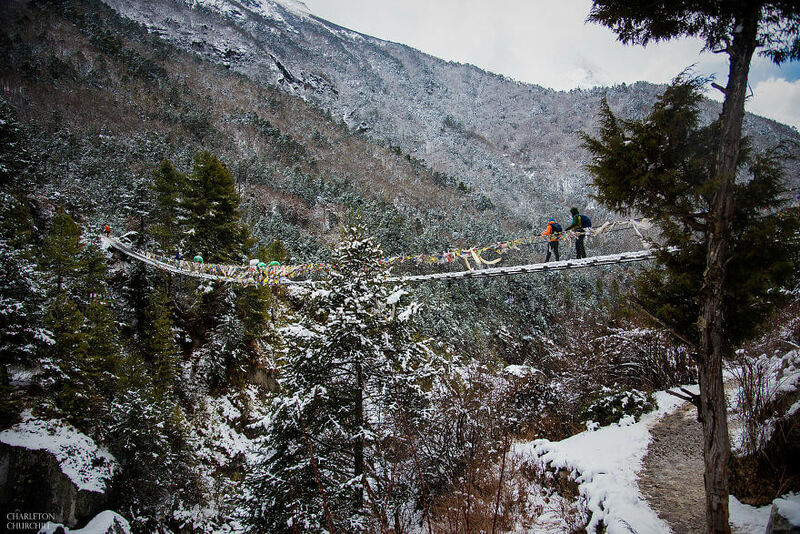 Ashley is a tough girl who crushed it on the mountain trail and maintained a great pace. 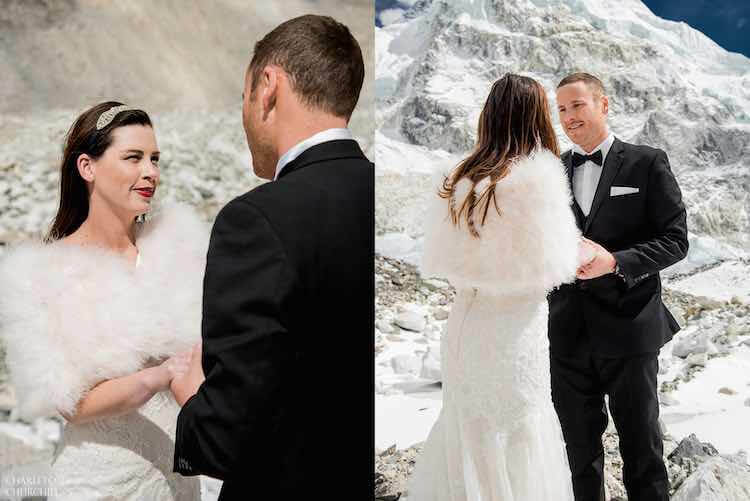 James is a great man who took care of Ashley, always looking after her needs,” says Churchill, the photographer.